Purity is often referred to with reverence and divinity (pure Gold, Pure Drinking Water, Pure Silk) the term itself reassures you of quality refinement and great value proposition. Pure Android experience is nothing short of phenomenal, no gimmicks, no unnecessary features, just pure unadulterated version of Android. Even with the humble 3/4 GB of RAM it's still faster, efficient and smoother when compared with OEM’s who addon their Skins/UI and takes on Android. Makes me wonder why do they so. Adding so many features and gimmicks which most of us might rarely use, during the entire tenure of owning the phone. Opting to go with pure Stock Android was one of the best decision Nokia has made. 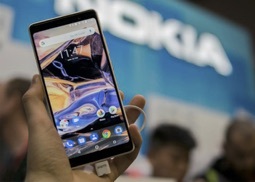 The Nokia 7 Plus is now under the umbrella of Android One program from Google, which means that these would be amongst the first phones to get all the latest security patches and software updates from Google. Complementing the Software is a Phenomenal Hardware. 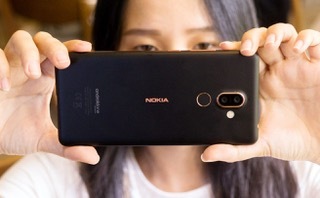 Built quality of Nokia 7 Plus is top notch and lives up to Nokia’s reputation for building some of the most durable smartphones. The Chassis is carved out from a single block of 6000 series aluminium, while a copper accent has been provided to the outer frame, Volume & Power buttons, around the camera and fingerprint sensor. Multiple layers of ceramically coated paint transform this it a beautiful and elegant looking smartphone whilst providing it a better grip and enhanced durability. 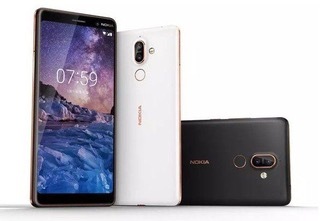 Also, it is the first ever Nokia Phone to feature a large 6-inch IPS LCD FHD Display with 18:9 aspect ratio. It is bright, vibrant and has a great legibility even under direct sunlight. The bottom firing speaker though not the loudest produces decent and clear sound without distortion. Also present is the Nokia OZO Audio features, which utilizes the three directional mics surround sound recording. And Audio quality through the 3.5mm Headphone jack is good, though i wonder what was it that stopped them from featuring a Stereo Speakers and an Hi-Fi Dac since they featured the same on Nokia 6. Also, there is no IP rating not even IP54 for splash resistance. This is another area of strength for Nokia 7 Plus. featuring the Carl ZEISS Optics, the Dual camera setup at the rear is same as its Flagship Sirocco. A 12MP RGB sensor with f/1.8 Dual Pixel PDAF and a 13MP f/2.6 telephoto sensor with 2x optical Zoom and gyro EIS. Needless to say it outperforms most of the competition with ease. The camera UI is simple and easy to use and Pro mode is also available for shutterbugs. Be it day or night, even with the zoom turned on, the picture quality is clear, sharp and colour accuracy is point on with good dynamic range. Live Bokeh mode of portrait shots works like a charm with excellent subject isolation. The 16MP f/2.0 Front Facing Camera also with ZEISS Optics, take clear and natural looking selfies. Also, there is a combined selfie mode wherein you simultaneously snap pics from both front and rear cameras. 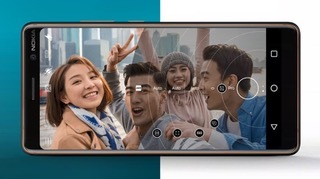 Presence of EIS also allows you record 4k videos and 1080p videos @30fps, and through Nokia OZO Audio feature the quality sound recording is great. It captures even the slightest of sound. 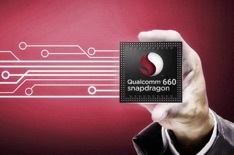 Powered by the latest and power efficient Snapdragon 660 Octa-Core CPU, provides plenty of power and endurance. There’s Ample amount of RAM & storage, 4GB RAM and 64GB ROM respectively with Expandable memory up to 256GB. Also, unlimited storage space to store your high-quality photos and videos Google Photos comes as an added bonus. 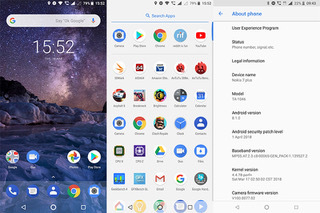 However, the highlight is the Pure Stock Android OS Oreo 8.1.its the best version of Android and you will feel it every time you breeze through your apps. Buttery, Silky smooth. Meanwhile the best virtual voice assistant, the Google assistant is getting smarter by the day. It learns your usage patterns and makes relevant recommendations. The processor has been optimised to work in a cohesive manner and overall it excels in terms of allocation of resources, memory management and power management. 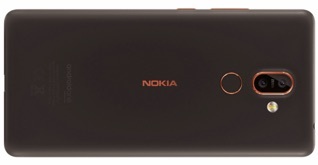 A large 3800mAh, another first for Nokia, makes its debut on the Nokia 7 Plus. And in amalgamation with the above (CPU & OS) amounts for an endurance lasting you well over a comfortable day and a half. Also, Nokia has generously provided an 18W fast charger in the Box. So there you have it Nokia has made a great comeback. It's commendable how Nokia has maintained its Legacy of offering great sensible durable smartphones. Nokia 7 Plus is an epitome of their intellectual prowess. At first glance, you might feel its like every other smartphone out there but you simply cannot compare or hope for similar user experience on a whole. In fact barring the average audio quality and lack of IP rating, it comes pretty darn close to the latest Pixel Series by google.